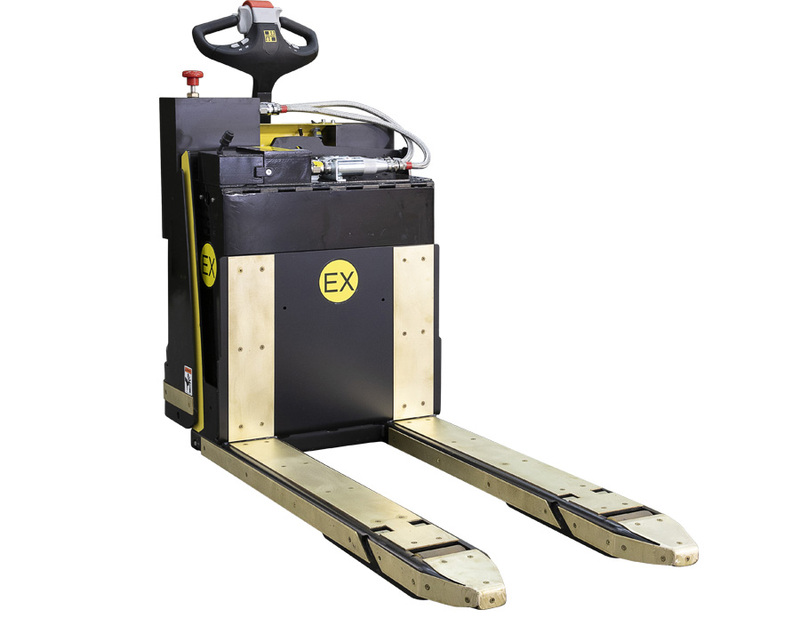 READY FOR THE LATEST INNOVATION IN EXPLOSION PROOF WALKIE PALLET TRUCKS? The Excalibur WP4.5EX is Miretti’s first EX walkie pallet truck with an AC drive motor. AC technology eliminates the need to service brushes, schedule downtime for repair of motor wear items and requires no periodic maintenance. This provides increased productivity and reliability of the unit. The WP4.5EX combines a compact footprint and tight turning radius for a safe more productive operational performance. 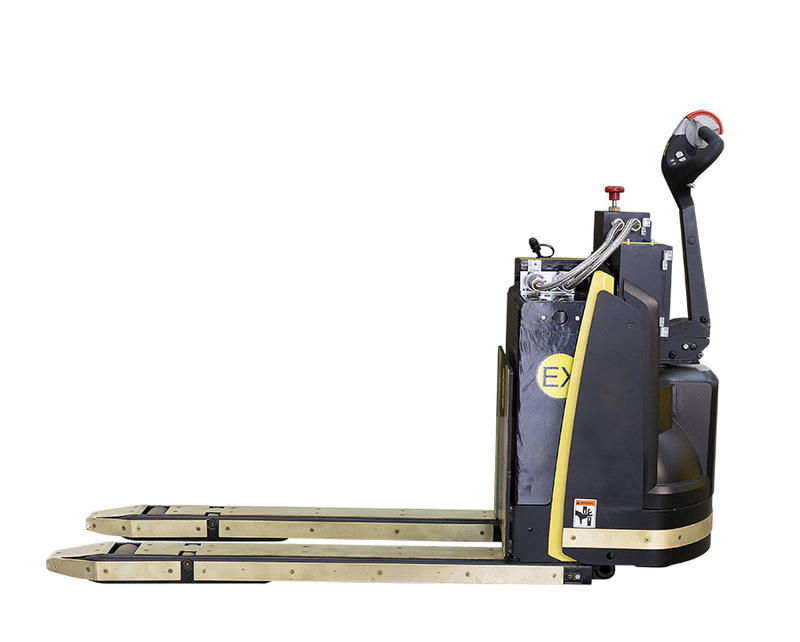 Designed with a shortened mid-mount handle, the operator is closer to the truck increasing visibility and maneuverability. 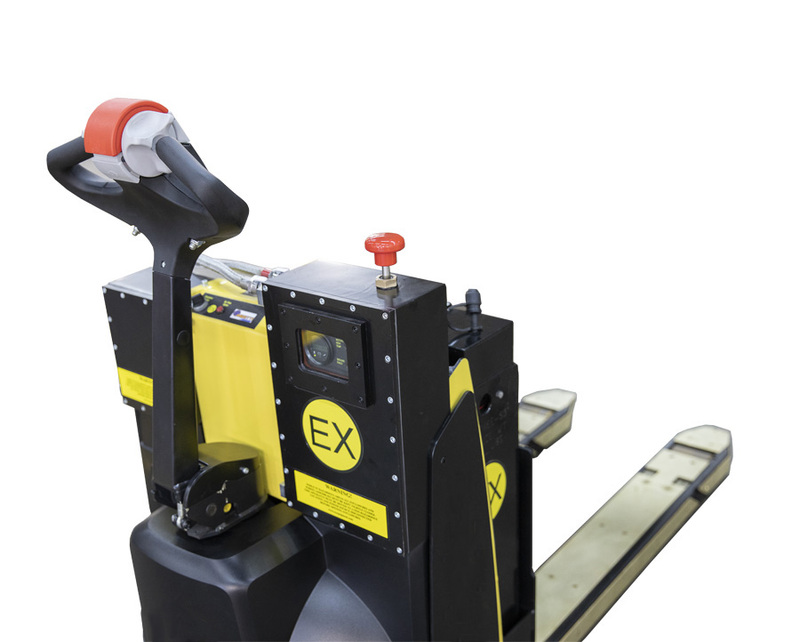 The handle of the WP4.5EX is designed to provide the operator with a firm-controlled grip increasing control of the unit, all while reducing wrist movement during operation. Lift, lower and horn push buttons are strategically placed so that the operator can have easy access without having to release handle from the grip.